This page is specifically for parts and information on the A4 Skyhawk, for other McDonnell Douglases please see the main Aircraft parts adverts page. On Classic Aircraft are several hundred pages, enabling restorers, owners and people working on older airframes to advertise for parts that they need to keep a particular McDonnell Douglas A4 Skyhawk in airworthy, or preserved static, condition. 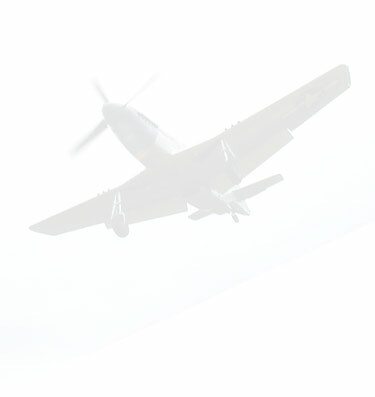 The full list of aeroplanes covered by this free service can be seen on the main ads page. Please only submit A4 Skyhawk advertisements on this particular page. Enthusiasts for this type of McDonnell Douglas can also advertise here, or on any of the other historic aircraft pages. Researchers looking to find out the history of A4 Skyhawks can submit Information Wanted notices here, as can modellers seeking details of a particular variant of this airplane. If you want to buy books on this aeroplane, or aviation in general, check out the links to Amazon on this page. Elsewhere on this aircraft website you'll find a large gallery of photographs (I can't guarantee any photos of the A4 Skyhawk, but if you have any by all means email them over!) and stories sent in by pilots and aircrew of yesteryear. Parts For Sale Ad. (Californai). Parts For Sale Ad. (Mojave, CA). Parts Wanted Ad. (Mojave, CA). Parts For Sale Ad. (Duluth,Mn). Tools Ad. (Idaho Falls, ID). Parts For Sale Ad. (Brazil). Parts Wanted Ad. (Rio de Janeiro, Br). Components and Parts needed to support military programs. Please contact to receive full list. Parts Wanted Ad. (Bellevue, WA). Parts For Sale Ad. (Bothell, WA). Parts Wanted Ad. (Melbourne AU). Wanting 1 x Deck Hook Throat for display. Parts Wanted Ad. (Pax river, MD). Looking for stick grip. For museum. Does not need to be in working condition. Parts For Sale Ad. (Falls church va). Parts For Sale Ad. (Swansea). A4 skyhawk engines and any other spares wanted,cash waiting!! Parts Wanted Ad. (Sonoma, CA, USA). Parts For Sale Ad. (Sao jose dos campos). Literature Wanted Ad. (Sao jose dos campos, Brazil). Parts Wanted Ad. (Mesa, AZ). Parts Wanted Ad. (McMinnville Or. USA). Parts For Sale Ad. (Reno Nevada). Parts Wanted Ad. (Pompano Beach). Need FULL A-4M cockpit for Flight Simulator ASAP !! Parts For Sale Ad. (Ft Worth Texas). Parts For Sale Ad. (Camas, WA USA). Parts Wanted Ad. (Chesapeake, VA). Parts For Sale Ad. (Buenos Aires Argentina). Parts For Sale Ad. (Charlottesvile VA). Parts Wanted Ad. (Northern Michigan). Parts For Sale Ad. (Cleveland ). Parts For Sale Ad. (Reno, NV). Parts Wanted Ad. (Concord CA). Parts For Sale Ad. (California USA). A4 Skyhawk arresting hook for sale uncut and still has id plaque. 700 dollars or best offer. Parts Wanted Ad. (LOS ANGELES, CA). Parts For Sale Ad. (LOS ANGELES, CA). Parts Wanted Ad. (Bolingbrook,Illinois ). A4C Museum Static Display, need canopy seal, LH leading edge slat.and tailhook. Parts Wanted Ad. (New Orleans). A-4 Skyhawk stick grip wanted. Parts For Sale Ad. (Southern California). Parts For Sale Ad. (Atlanta, Ga). Parts Wanted Ad. (Fresno, CA 93727). So far, 69 advert(s) for the McDonnell Douglas A4 Skyhawk have been received. You can place your own by filling out the form here.